Our reader Celeste wrote to ask us about available hybrid SUVs and crossovers, and we thought our answer might be useful for the site. At the moment, there are three main hybrid SUVs sold in the U.S. Each of them also has variations sold under other brands. All are likely to be durable, as their powertrains must be warrantied in some states for 10 years and 150,000 miles. Their mileage will vary depending on your "duty cycle." Hybrids are at their most fuel efficient in lower-speed and stop-and-go traffic, when their ability to switch off the engine on stops and run short distances solely on electricity can be maximized. 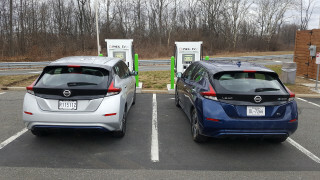 They're also more efficient than non-hybrid SUVs in highway travel, but depending on the particular hybrid system, the advantage may be less obvious. But what constitutes "best" will vary depending on your needs. The Chevy Tahoe/GMC Yukon twins, as well as the Escalade, are full-size SUVs with traditional body-on-frame construction and big V-8 engines. 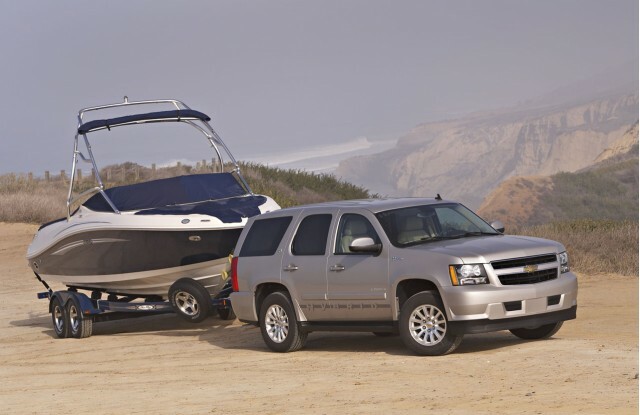 They have the highest towing capability (6,200 pounds) but are by far the largest vehicle. Unlike the smaller hybrid SUVs, their Two-Mode Hybrid system includes a mode in which the two electric motors provide a power boost while traveling at highway speeds and towing heavy loads. 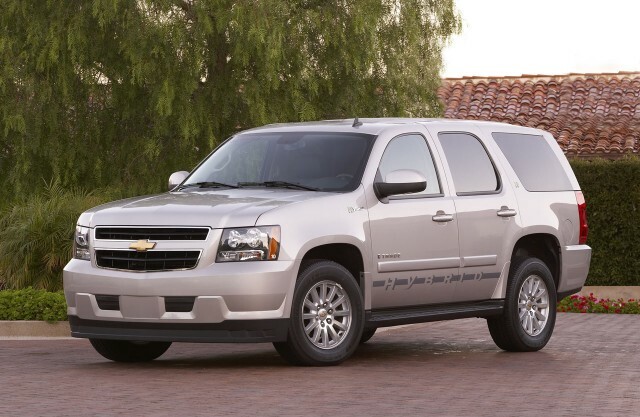 The rear-drive Tahoe Hybrid is rated at 21 mpg city (a 50-percent improvement on the standard version), and 22 mpg highway. 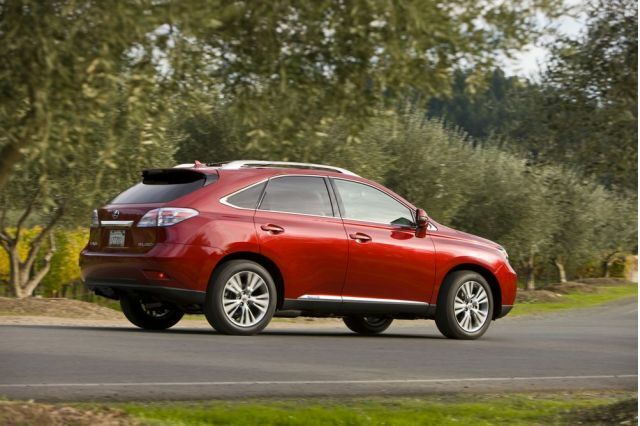 Four-wheel-drive models fall to 20/20 mpg. 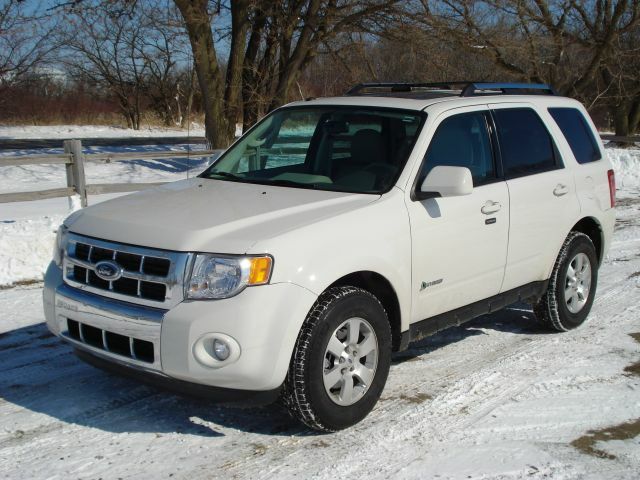 The Ford Escape Hybrid was the first hybrid SUV (in 2004) and has been sold continuously since then. 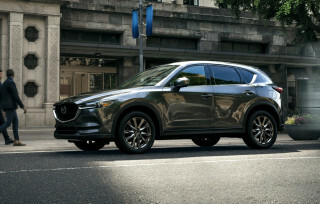 It's a compact crossover known for durability (many are used as taxi cabs in New York City), but it's now an aging design that will be replaced for 2012. Its Mercury variation is slightly more stylish and expensive. There's a very rare Mazda version as well, though that is not offered with the Sync system that integrates phone and infotainment systems with voice commands, which is limited to Ford products. The Ford Hybrid Escape is rated at 34 mpg city, 31 mpg highway in front-wheel-drive form; adding the all-wheel-drive option cuts the ratings slightly, to 30/27 mpg. 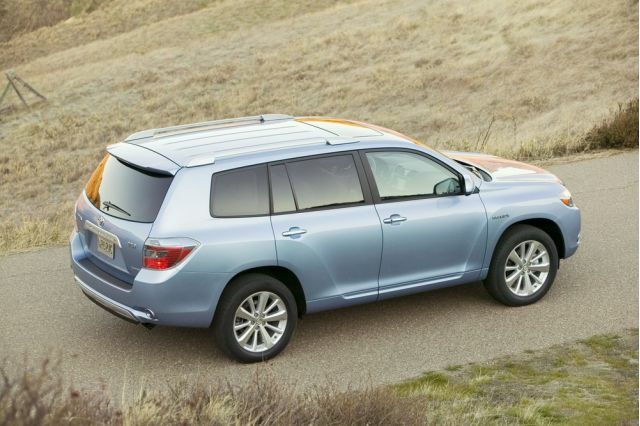 Finally, the Toyota Highlander Hybrid is the only one of the three that offers seven seats as an option, if you need that. The EPA lists its mileage as 27 mpg city, 25 mpg highway. It is offered only with all-wheel-drive connected to its Hybrid Synergy Drive system. 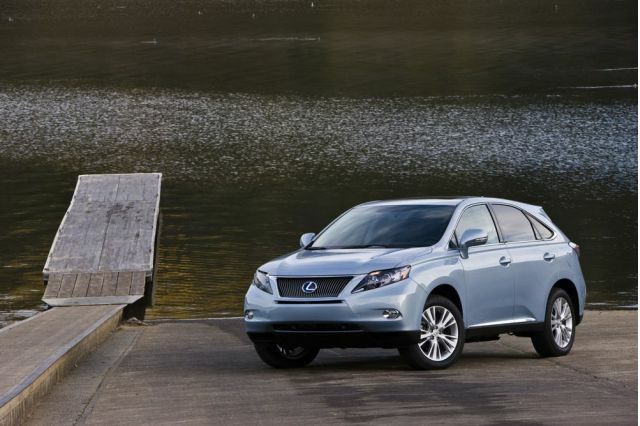 Unlike the Chevy and Ford products, the Toyota and Lexus don't have mechanical all-wheel-drive. Instead, the front wheels are powered by a combination of mechanical and electrical torque, and the rear axle is driven as needed solely by an electric motor. This system has a failsafe that will shut down the rear motor to prevent it overheating if it's being used in really demanding ways--in sandy or muddy terrains, for instance, where the rear wheels have to spin continuously. If you're looking for the toughest all-wheel-drive system, this pair may not be for you. 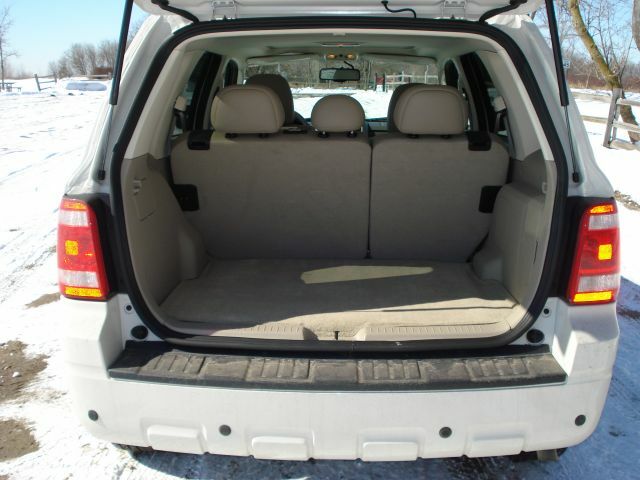 But if you just need added confidence and stability on wet suburban roads or in snowy weather, they may serve just fine.